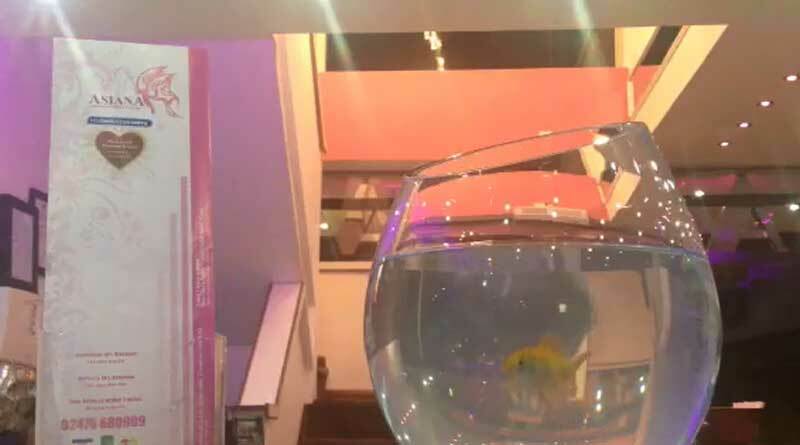 Staff at a restaurant were left devastated after their beloved pet fish was stolen by unhappy customers. Fin the goldfish was taken from Asiana Modern Indian Cuisine, in Holbrooks, Coventry, on Sunday evening after bosses were confronted by a group who were not satisfied with their service. A post on the restaurant’s Facebook page by the manager, Taz, said: “We would like to share a thought, a thought that has a left a sour taste. 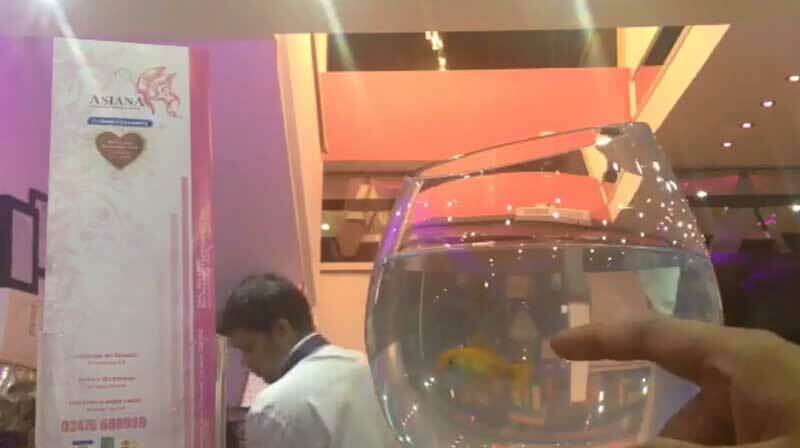 Our very popular goldfish, Fin, got stolen in his bowl from our restaurant by some girl, who was dining with four others including some very abusive males. “They had started the evening causing nuisance and as the evening got busier in the restaurant they kept finding faults, eventually after the meals had been finished one of the coward males came downstairs and complained that he didn’t enjoy his visit, therefore demanding not to pay. As the manager tried to compromise with the him, another man comes guns blazing and takes a leap at the manager. As we go by a ‘self defence, no offence’ policy, and most defiantly don’t tolerate abuse of any sort, they were asked to leave. Whilst we got distracted by these so-called men, the girls decided to take our fish bowl with the fish that’s been with us for four years. “We are very saddened and will miss our little Fin and without a doubt these idiots are only going to mess about and most likely break the bowl and losing the life of our beloved fish.” The restaurant said they would notify police of the theft and urged the culprits to bring Fin home. Taz added: “If by any chance any of the idiots in question happen to read this post, then please kindly, if you still have him, please return. To our dear customers, apologies on the terms we have expressed, as one can appreciate the extent of frustration this has caused us. We have never ever been targeted and nor have we ever experienced such foul clients.